Kenyan rapper King Kaka might be a deadbeat dad if recent comments by singer Sage Chemutai are anything to go by. The talented songbird birthed a baby girl, Ayanna, four years ago after a short-lived love affair with King Kaka. 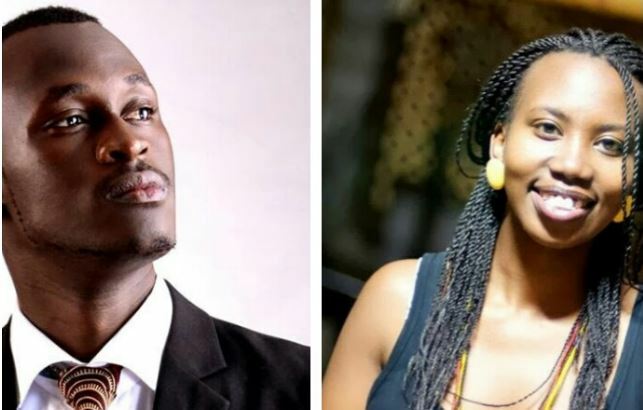 Coincidentally, Ayanna was born about the same time as King Kaka’s firstborn, Gweth, with his wife Nana Owiti. Four years on, Sage has finally opened up about her difficult journey as a mom saying that she is taking single motherhood in stride. “Motherhood is a very crazy thing, but at the same time, it changes you so much because like for me, I have learnt from her that I need to be patient. I was a really impatient person, but watching her grow and she is now in school, which did not happen in one day, really changed me,” Sage told Word Is. “However, raising a child as a single mum is the most challenging things I have faced so far. I had a constant fear of wondering how I’m gonna deal with when she goes to school, and she will be asking herself, ‘How comes I am not living with my dad?’ And that was the biggest worry. I have learnt that God is in control of everything. “Right now she is in school and she is not as deeply concerned like I thought she would be. She is also not as emotional like I will get about the whole issue. It is so strange but I think it is because adults, we exaggerate things so much. Another thing is the worry of whether I would be able to provide for this human being on my own,” confessed Sage. Then came the bombshell that incriminated King Kaka: According to Sage, she has managed to handle her daughters’ school fees on her own. “It is easy to dwell on that self-pity. You know I am alone, other parents are paying fees together, they can handle that together. In the beginning, I was freaking out, but after her first term in school, I was able to pay her school fees and even to ensure she goes to school on time, and get everything she needed, including her snacks. It is learning how to let go and leaving God to take control of everything,” said Sage. I don’t know about you but that sounds like a deadbeat to me.